Back conditions comprise a vast array of impairments affecting the spine. The most common back conditions are attributed to degenerative disc disease and osteoarthritis of the facet joints. Many back conditions are the result of trauma, old age, or a combination of both. More severe spinal conditions may result in neural foraminal narrowing, nerve root impingement, disc displacement, radiculopathy, sciatica, spondylosis or spondylolisthesis. Many claimants with the same diagnosis may have drastically different symptoms due to the severity of their impairment. Symptoms of spinal conditions are not solely limited to back pain. People with pinched nerves often experience radiating pain throughout the upper or lower extremities. These symptoms can restrict a person’s ability to bend, stoop, lift, reach, walk, or sit. Furthermore, signs can become exacerbated by activity, resulting in permanent limitations. If these symptoms are not improved with physical therapy, epidural steroid injections, or radiofrequency ablations, then surgery may be an option. Back conditions could also result from unsuccessful operations, known as a post-laminectomy syndrome. Claimants with spinal disorders may qualify under Social Security medical listing 1.04 Disorders of the Spine. With proper medical evidence, anyone that meets the definition of a listing will be granted Social Security benefits. Conditions under the listing 1.04 Disorders of the Spine include nerve root compression, spinal arachnoiditis, and spinal stenosis resulting in pseudoclaudication. Many of the Social Security listings require medically acceptable imaging to confirm the condition, such as an X-ray, MRI, or CT scan. 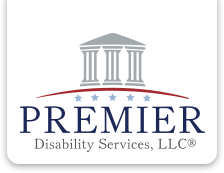 Premier Disability Services, LLC has extensive experience assisting claimants who suffer from a back condition obtain Social Security Disability benefits. If you suffer from a back condition and you are unable to work, please contact our office for a free evaluation.